Is it worth buying a second car? Owning a 4WD is an absolutely brilliant way to see this country. However,they aren’t always the most enjoyable things to drive around as a daily driver. I did the maths and decided it would be cheaper to buy a second vehicle to drive to and from work. If you’ve been considering this, read on; I’ll cover all the pro’s and con’s, along with the maths to help you make a decision. What are the benefits of owning a second car? We’d be broke if I drove the Land Cruiser to work every day! What’s the cost of owning a second car? There are some extra expenses when you purchase a second vehicle, but if your circumstances are favourable these can be covered by reducing what you’d spend on the 4WD. For example, you still cover the same amount of daily driven kilometres in your second car, but the fuel consumption should be vastly lower. Likewise, maintenance costs should drop along with the cost of tyres. If you own another car, you have to pay rego on it; no questions asked. You’d be mad to not have at least 3rd party insurance on a second vehicle, so this is another expense. If you have a mortgage, any money you spend is effectively being charged at the same interest rate as your mortgage. Given this is currently around 4% per annum, you are ‘spending’ 4% on any money you take out of the mortgage to buy a second car. Likewise, if you take out a loan for another car, you’ll get hit with various fee’s and often whopping interest rates. In order to make a second car viable, fuel costs are the biggest way to cover your costs. If you use 15L/100km in your 4WD and you pick up a second car that only uses 7L/100km, its easy to save a lot of money. Cars cost money to keep on the road. 4WD owners of all people understand this; regular attention is required to keep the vehicle in good condition especially if you use it off road. However, you have to pay maintenance one way or another; you can transfer some of the expenses on maintenance for your 4WD to a smaller, cheaper vehicle. 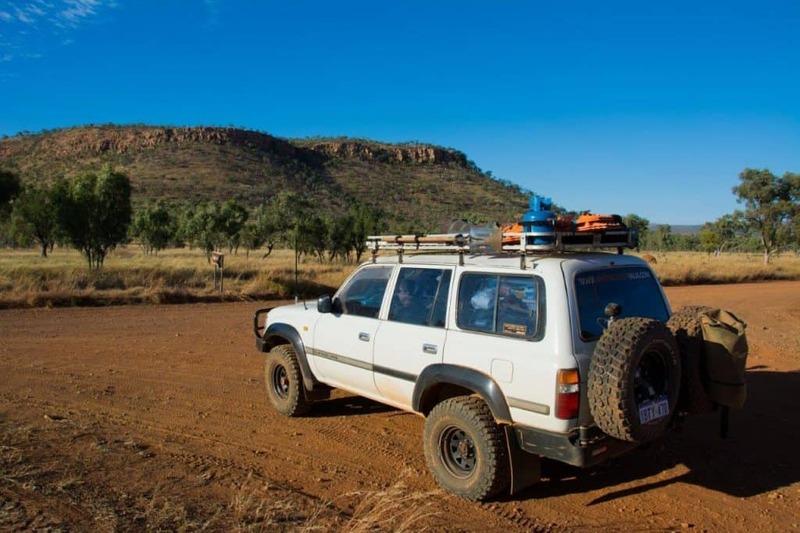 If you own a more modern 4WD this may not be as pertinent, but it is still usually cheaper to maintain a smaller 2WD vehicle. If you own an older 4WD like mine, you can save a fortune here. Take tyres for example; instead of paying $280 – $450 per tyre on a 4WD, you can get them for $75- $100 each. Servicing of a smaller vehicle is usually much cheaper than a 4WD – there’s less moving and cheaper parts and less to go wrong. This is entirely dependant on your situation, but if you have a 4WD and transfer some of the kilometres to a second vehicle, you can save a fair bit on depreciation. 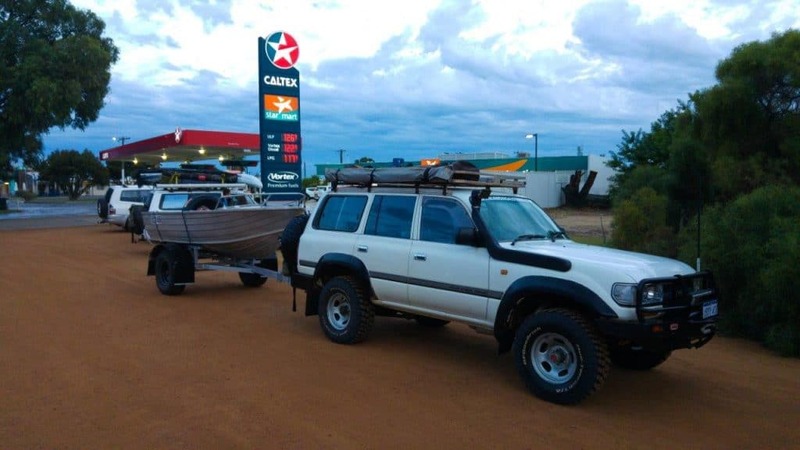 Instead of doing 20,000km a year in your 4WD you can do it in a second vehicle, and when it comes to sell your 4WD it has less km’s on the clock, therefore is worth more. For more expensive 4WD’s this is important. If you own something that’s not worth too much it won’t mean much at all though. What’s the overall difference then? So, you’ve got to do the figures (below), and see how it compares. If you can own a second vehicle for less than it would cost you to drive your 4WD around as a daily, why wouldn’t you do that? 80 Series turbo diesel which uses around 15.5L/100km around town. New 285/75/16 tyres in the BFG KM2’s that I am running are around on cost about $360 each. Being an older vehicle maintenance is higher than I’d like, but we will simplify it for now. A minor service, just changing the engine oil and filter costs about $140 (Castrol Magnatec Oil and a genuine Toyota filter). This needs to be done every 5,000km, and the differentials/gearbox/transfer case get done every 20,000km. The mechanic see’s the vehicle usually every 10,000km to give it major services, or to go over it before a big trip. Back in 2012, I picked up a 1996 Automatic Toyota Corolla, running the 1.6 litre engine with 57,000km on the clock. How much? A mere $4250 with record of at least a couple of services. At that price, and having a solid run of Corolla’s in the past, it was a steal. Previously owned by an older gentleman who passed away, this thing was in pristine condition and although a bit of a slug it was perfect. Fuel economy is 7.4L/100km to and from work, tyres cost about $75 each (Bob Jane’s 4 for 3 deals) and maintenance is about as cheap as it gets for a car. A minor service costs $25, gets done every 10,000km and the major services are done by my mechanic. Just looking at daily drives, I cover roughly 400km a week. That’s 19,000km a year. In fuel, using today’s fuel prices, that’s $3766 in diesel for the Land Cruiser or $1770 for petrol in the Corolla. A total saving of $1996 per year by driving the second vehicle. In maintenance, that’s $680 for the Land Cruiser, changing the engine oil and filter 4 times, along with the drive line oils once. For the Corolla, its $70 (changing the engine oil and filter twice along with the automatic transmission fluid every 3 years). A saving of $610. In tyres, the Land Cruiser should do about 80,000km on each tyre, so that’s $360 per year. The Corolla does about 60,000km on each tyre, so that’s $100 per year. A saving of $260. Now, I will admit to simplifying the maintenance; there are plenty of other costs, but I don’t have the figures nor the inclination to go into them; this post is long and complicated enough. However, I can guarantee the extra costs are substantially higher on the Land Cruiser than they are on the Corolla for anything not mentioned. Insurance – $380 for full comprehensive cover valued at $3800. Opportunity cost – I paid $4250 for the Corolla, and our mortgage is 4% – giving a yearly cost of $170. If you do the above figures, you end up with a saving of just under $1800 per year. That’s right; for my situation, owning a second car saves me $1800 per year. More cars means you need more storage. If you don’t have the parking or garage space, that is a problem. When ever you buy a second hand vehicle you run the risk of getting one that’s been poorly treated, or is just a lemon in general. There are plenty of bargains out there if you are patient and know what to look for. My Corolla cost very little, and has done 80,000km of trouble free motoring so far. I expect easily another 70,000km without a problem, but even if it dies, it’s well and truly paid for itself. You might think that because its a cheap car its not reliable; I have had no problems with it what so ever, and would happily drive it around Australia at a moments notice (although it is almost needing new tyres!). This post is not telling you to go out and buy a second car. I hope its food for thought though, as to whether owning a second car is a viable solution. Depending on your circumstances, it may not work out so favourably. However, if you can save money by buying a second car, why wouldn’t you? If you do consider this option, you need to buy a vehicle that is cheap to buy and own, fuel efficient and reliable. I would not recommend taking out a loan to buy a second car. Work out how many kilometres you do each week – the more you do the better it works out for you. So tell me as it is; am I full of it, or is it worth while buying a second car? Do you have a second vehicle?